Tencent Games, the studio behind the popular PlayerUnknown’s Battlegrounds (PUBG) Mobile, has partnered with Resident Evil 2 creator Capcom to bring zombie survival mode in the battle royal game. Dubbed the Resident Evil 2: Sunset , this new zombie mode has already been released to several users via a beta version of the PUBG Mobile 0.11.0 update. The stable version, however, will come out to all users on February–not later than February 10–according to leaks. As per the beta version, the PUBG Mobile Zombies Mode will take place in a part of the Erangel map. The mode includes Raccoon City Police Station from Resident Evil 2 in the player lobby or spawn island. Another thing to note is that the test version only allows 60 players maximum, lower than the usual 100 users. In the zombie survival mode, players gather supplies and kill the Resident Evil 2 bosses coming their way wave by wave. Of course, players still needs to mind the safe zones and fellow human players. Like in other modes, the winner is the last man standing at the end of the game. 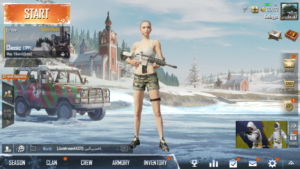 The 0.11.0 update will also bring the new moonlight weather–night mode with a prominent Moon–for the Vikendi map. Sanhok will also get a Quick Match Arcade Mode along with other features already available in the PC version of PUBG.